This is a picture of Arthur's father's boat, the Eileen Dubh, named after the Kessock Ferry shown in picture #329. 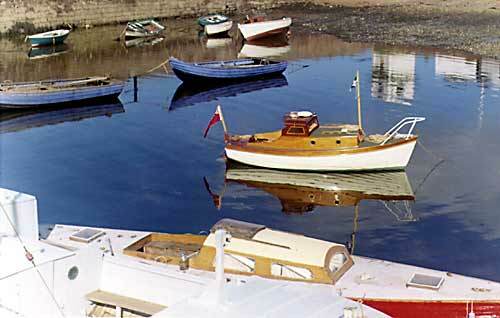 The red yacht tied along side the Endeavour is the 6mtr Vorsa, built about the mid 30's, and was owned by Dr. Salvesen. The white boat on her side belonged to Willie Ross, the blue boat next to the parapet wall was Robert Hendry's.